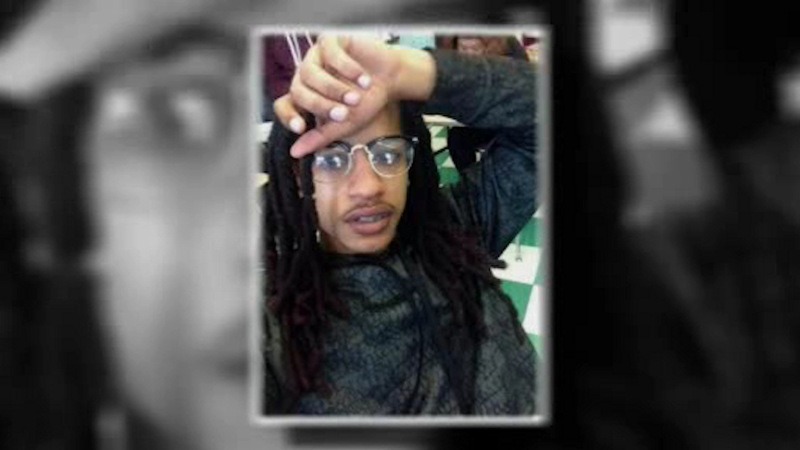 JERSEY CITY, New Jersey (WABC) -- A young man's family was getting ready to celebrate his high school graduation, but instead they're planning his funeral. Family and friends say 17-year-old Rondell Rush had big plans and he was willing to put in the long and hard hours into his school work to reach his goals. The Dickenson High School senior was an honor roll student and was finalizing where he would go to college in the fall. "If you came across him, if you didn't know him, he felt like somebody you thought you always knew," said Shawnnie Rush, the victim's cousin. Rush was with a group of teens outside his Fulton Avenue home in Jersey City. He was shot in the head around 5 p.m. Tuesday. Investigators don't know who did it or why. "He was an all-around good kid," Shawnnie Rush said. "Sometimes you have to be mindful of the company you keep, but it doesn't take away from your character." And police say after Rush was shot on Fulton Avenue, his friends put him in a car and did their very best to get them to a nearby hospital. The victim's employer said Rush worked for him at a tax business in Jersey City -- not for the paycheck, but for the real-world experience. "Very studious, outgoing, he had a funny personality, was the type of person that everyone enjoyed working with," the victim's employer said. He wants to make it clear that Rush was an exceptional teen, and he believes he would not get wrapped up in street nonsense. "Whenever clients would come in they would complement him just for being so polished," the employer said. "Even though he was a senior in high school, he carried himself like a college student. It was impressive to see someone at such a young age carry himself with such great stature." Thursday night, his family was working on funeral arrangements and telling Eyewitness New his mother is broken and not yet ready to talk publicly about her son's tragic death. Investigators say that so far, they do not have any suspects. Police are urging anyone with information to call the Hudson County Prosecutor's Office at 201-915-1344 with any information.